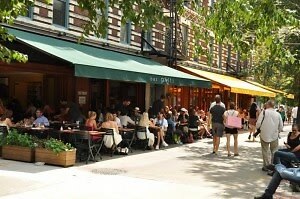 New York City has so many dining options that it can often be difficult to pick and choose where you want to go. Especially when choosing a trendy restaurant, its hard enough to find one that actually serves good food and even harder to pick one that won't charge you an arm and a leg in the process. After doing a little research--the best tasting research we've done in a long time,--we have come up with a list of New York's best chic restaurants that won't break the bank.